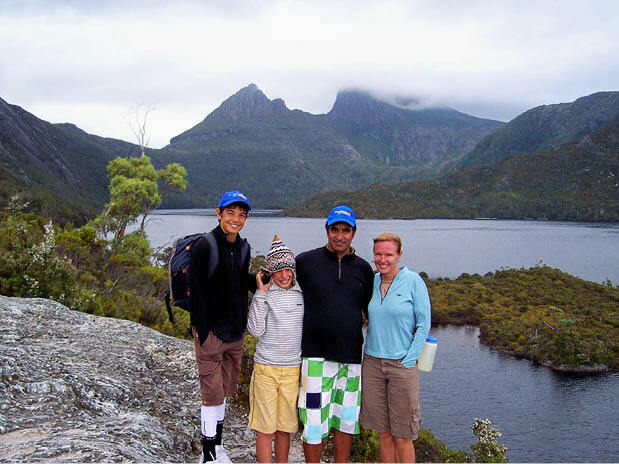 The beauty, peace & exhilaration of the Cradle Mountain National Park is yours to share with your family on this short & exciting walking holiday. Carrying just a day pack, explore the base of the Great Western Tiers on foot before a visit to the fascinating caves of the Mole Creek Karst National Park. It's then on to the Cradle Mountain National Park high country where you'll have a number of impressive walks to choose from, a trip to the summit of Cradle Mountain being the preferred day out, weather permitting. Sharing the 360-degree panoramic views of Tasmania's highest mountains and surrounding wilderness area from its summit with your children will inspire them to want to explore even more. 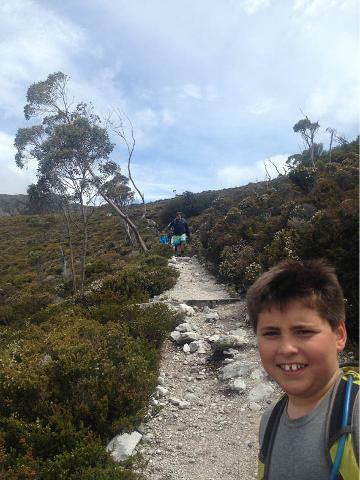 Nearby in the Forth Valley, the kids can also run down their energy on the climb to the summit of Mt Roland, from where you'll all be greeted with 360 degree views of Bass Strait, back to Cradle Mountain and the prominent Barn Bluff. This is a fantastic introduction to active travel for the whole family. Ask about special family discounts for families of 3 to 6 travelling together. Your tour begins with your guides collecting you from your accommodation in Launceston at 8:00am. From there you will driven to nearby Deloraine where your guides will present a general overview of the trip and ensure you have the correct clothing and distribute any hire gear that has been requested. You will then be taken to Alum Cliffs for a short gentle walk near the base of the magnificent Great Western Tiers, the mountain range which presides over the central north of Tasmania. Afterwards we will journey further north to visit the incredible caves of the Mole Creek Karst National Park. Then your guides will take you deep into the Mersey Valley where they will provide a delicious lunch at the beautiful Creses Cave Reserve on the Mersey River. From here we will head up into the high country to Cradle Mountain National Park. If time permits we will have the opportunity to take in some of the shorter walks in the stunning World Heritage Area before retiring to our accommodation for the evening at Waldheim Cabins nestled on the rainforests edge within the National Park. On this day we will be spoilt for choice from the plethora of awe-inspiring walks that leave from the very doorstep of our accommodation. If weather permits the main objective for the day will be to summit Tasmania’s most well known and loved landmark – Cradle Mountain. This iconic day walk will provide you with magnificent views of this heavily glaciated landscape and see you stand on top of the islands third highest peak. Alternatively we can explore the ancient rainforests of Dove Lake, Marion’s Lookout, and Hanson’s Peak amongst many others. After our days explorations we will wave a fond farewell to Cradle Mountain and head off to the forests of the Forth Valley where our accommodation for the evening will be at the award winning Lemonthyme Lodge. Today we will enjoy a sumptuous breakfast at the Lodge before setting off to conquer another of Tasmania’s prominent peaks - Mt Roland. 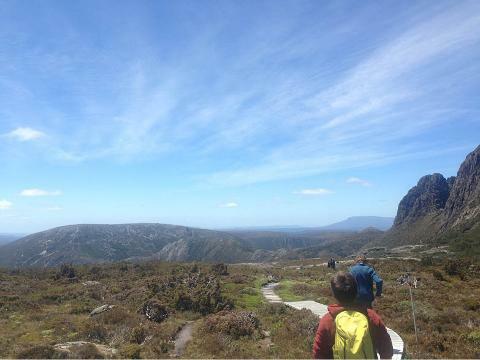 This mountain played an integral part in the original vision of the Cradle Mountain area becoming a National Park. Starting in the deeply scented Eucalyptus forests at the mountains base we encounter a variety of gradients on our upwards journey, on the climb up we view some waterfalls and a variety changing vegetation types before ascending the expansive plateau atop the massif. This huge rugged mountain is one of the state’s most rewarding walks and provides 360 degree views of the Bass Strait and back to Cradle Mountain and the imposing Barn Bluff. We will enjoy the beauty of the summit and a track lunch before descending back to Gowrie Park and then return to Launceston where you will be dropped at your accommodation at approximately 5:00pm.